Carnival Caribbean cruises are great fun, second to no other cruise line, and are among the best family cruise deals heading to the tropical islands of the Caribbean. You will also find that there are more Carnival cruises to the Caribbean than from any other Caribbean cruise line. Carnival Caribbean cruises are great fun! Every member of your family will enjoy a Carnival cruise. There is a wide range of activities onboard and there are many varying sizes of ships, each offering some unique amenities and activities that will appeal to all age groups. You will find a Carnival ship with an itinerary that is perfect for your family, and what is considered to be among the best cruise package deals that make the trip even more worthwhile. 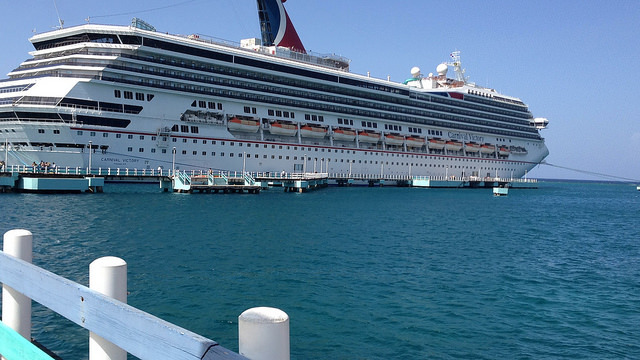 From which U.S. port can I board a Carnival cruise? My family has taken five (5) Carnival cruises to date and we have left from three (3) different U.S. home-ports: Tampa Cruise Terminal, Florida; Miami Cruise Terminal, Florida and Port Canaveral Cruise Terminal, Florida. In addition to these Caribbean cruise departure ports, you will be happy to know that Carnival cruises depart from the Manhattan Cruise Terminal in New York; Baltimore Cruise Terminal, Maryland; Norfolk Cruise Port, Virginia; Jacksonville Cruise Port (JAXPORT), Florida; New Orleans Cruise Terminal, Louisiana; and, Galveston Cruise Terminal, Texas. Wow! That’s a whole lot of ports! Your family will find the right Carnival Caribbean cruise from a port near you. For the five inclusive Carnival cruises that my family has taken, we sailed with Carnival Sensation, Carnival Paradise, Carnival Glory, Carnival Destiny (now Sunshine), and Carnival Victory. 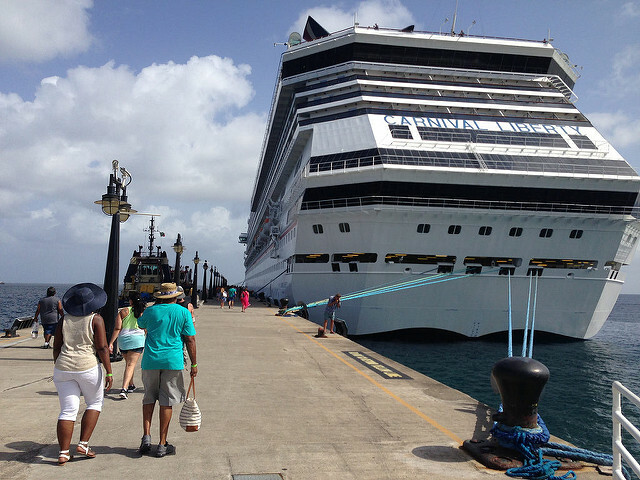 Carnival Cruise Lines has many ships of varying sizes that sail to the Caribbean. In addition to those listed above, you will find many other Carnival Fun Ships with great itineraries to the Caribbean. These include: Carnival Breeze, Carnival Conquest, Carnival Dream, Carnival Ecstasy, Carnival Fascination, Carnival Legend, Carnival Liberty and Carnival Magic. All these ships fall into different categories according to size, with Ecstasy and Paradise being among the smallest and the Breeze, Dream and Magic being the biggest Carnival ships. Where in the Caribbean does Carnival Cruise Lines visit? You will be happy to know that Carnival cruise itineraries have the Caribbean covered. 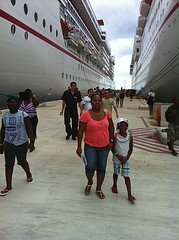 My family has visited the Western Caribbean on all of our Carnival family cruises. 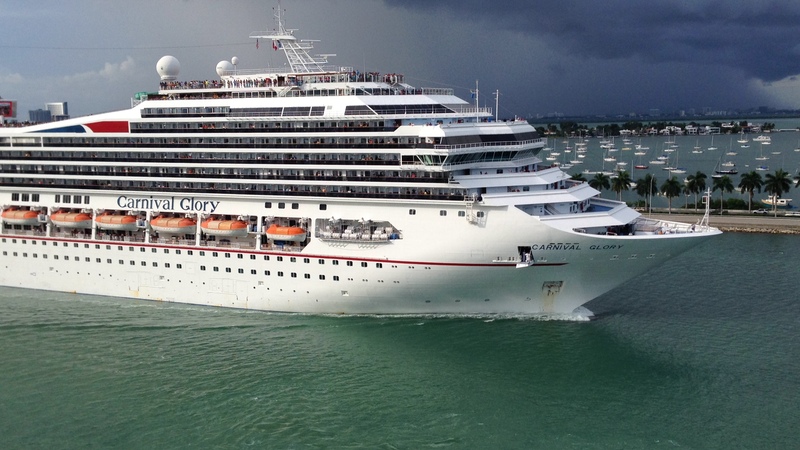 However, you can find Carnival family cruises to the Eastern Caribbean, Southern Caribbean and even to the Bahamas. Think of places such as Puerto Rico, Barbados, Antigua, Jamaica, Cayman Islands, Nassau, Mexico, Belize, Honduras and many others, and you will find an inclusive Carnival cruise heading your way. What kinds of foods are served on Carnival cruises? Well, since you are sailing to the Caribbean, you will find that your cuisines will include West Indian or Caribbean dishes. Have you tried jerk chicken? You may find that onboard. What about pumpkin soup? That may also be available. Additionally, Carnival Cruise Lines offers varying cuisines onboard Caribbean cruises to appeal to all kinds of appetites. Consequently, you will find American cuisine, Chinese cuisine, Italian cuisine, among others on board. Steak lovers, you will find yours that too. In many cases, there is a specialty steakhouse on board. Note that this usually costs extra. Whether you are 6, 16, or 60, you will find enough fun on a Carnival cruise to the Caribbean. There are kids programs, supervised by specially trained workers, for your younger children. Compared to an inclusive family cruise package with Royal Caribbean or Disney Cruise Lines, Carnival cruises are always less than Royal Caribbean and much less than Disney cruises. You will be able to give your family a great time to the Caribbean without having to break the bank, whenever you book a Carnival cruise. Ask about their Early Saver Rate. By the way, use the Search Box below to explore rates on Carnival cruises to the Caribbean. Unlike some cruise lines, Carnival is among those Caribbean cruise lines that add "mandatory" cruise gratuity to your onboard sail & sign account. Carnival's current gratuity rate is $13.95 per-person per-day for guests in suites and $12.95 for everyone else. Also, a 15 percent service charge is added for purchases from the bar. N.B. Check for increases, before sailing. By wide acclaim, Carnival cruises are among the best family cruises and offer so many cruise itineraries that you will find the best cruise packages. Ask my children. They have sailed with Carnival, Norwegian, Princess and Royal Caribbean. However, when we told our kids that we were taking a family cruise this summer, they wanted to know if (you guessed it!) it was a Carnival Caribbean cruise. You should have seen their faces when I said it was! So, are you ready to book one of many inclusive Carnival Caribbean cruises? Have you sailed with Carnival Cruise Lines? We would love to hear about it. 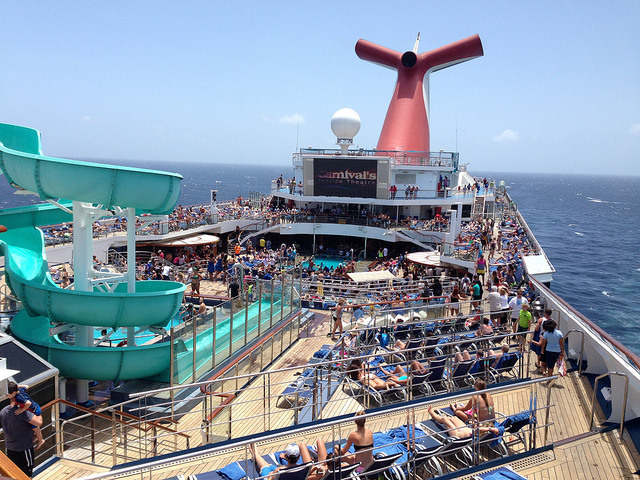 Click here to submit Carnival cruise reviews.